Greetings from NWDthemes team. We wish you a Merry Christmas and a Happy New Year! 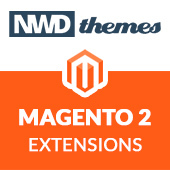 More awesome Magento Extension products was released this year. To help making purchase process smooth and shine for you customers we’ve created Ajax Cart Magento Extension. And to add awesomeness to presentation of your products and increase your sales PowerBanners – Responsive Banner Slider was developed. And even more great news. 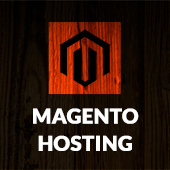 Our new Magento theme is ready for you. 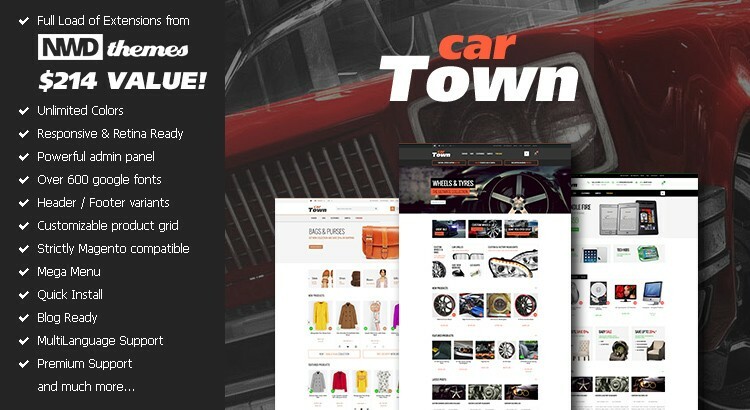 CarTown Premium Responsive Magento Theme is a true masterpiece of design and coding. It keeps our high quality standards and will give ultra modern look to your store. Your clients will appreciate eye candy design and usability of your E-commerce Magento store. Just give it a try and apply it. This was a great year for us and our customers. Looking forward in next year we are planning to add compatibility with Magento 2 to our present products and create more useful tools to help you running your online business. And of course as always we will provide outstanding support for our clients. We wish you best luck and prosperity in next 2016 year! Sell more, attract more customers with your inspiring ideas and enjoy your business growing! It will be great honor to help you in it and our team will be happy to do it.